Peter Stass started his career writing and performing sketch comedy at such New York venues as The Comic Strip, Stand Up NY and the Copacabana. His entry into screenwriting came when he was invited to collaborate on a feature with Greg Glienna, author of 'Meet the Parents'. 'Relative Strangers' starred Danny DeVito and Kathy Bates. He spent the next few years in LA, where he continued to develop his skills, writing several features of his own and directing comedy shorts. After moving back to New York, he wrote for a History Channel docudrama series and worked with members of local improv troupes Upright Citizens Brigade, Magnet Theater, and the People's Improv Theater. He also taught screenwriting at the Gotham Writers Workshop. 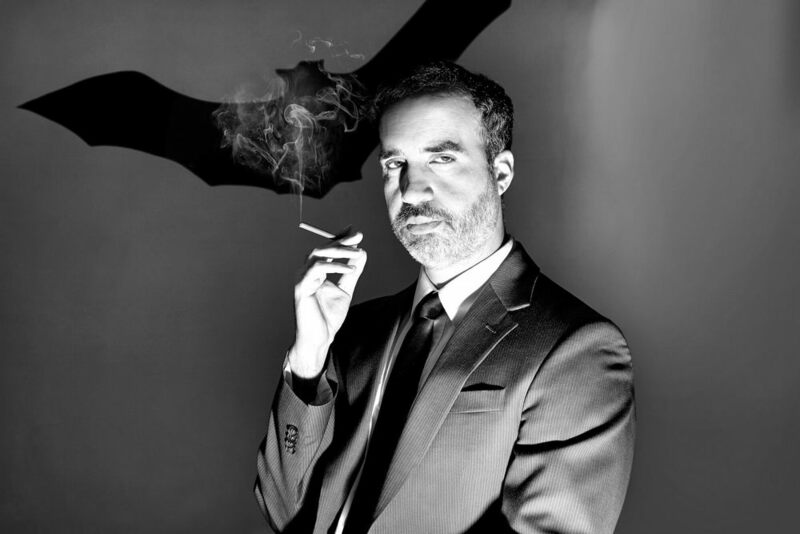 In October 2013, 'Ackerman & Associates Meet Dracula' was presented to a live audience at New York's Pearl Studios as a radio show. Divi Crocket has been active in production for the past 20 years, starting with an animation studio, then moving into make-up FX, then to production-managing commercials (GM, Taco Bell), music videos, (Karmin, Bastille), television, and feature films before landing her current position as a producer at Viacom's VH1. She has lived and worked in San Francisco, Los Angeles, and New York, where she currently resides. Her body of work includes Clint Eastwood's ‘The Changeling', 'Hesher' (starring Joseph Gordon-Levitt,), 'Barry Munday' (starring Patrick Wilson), 'Henry's Crime' (starring Keanu Reeves) and her most recent feature, 'Cold Comes the Night’ (starring Bryan Cranston). She has also helped produce television series as diverse as Netflix's 'Lilyhammer', and PBS Nova's ‘Fabric of the Cosmos'. Divi has produced her own projects, including the feature 'Want', which Variety called 'an arresting debut' and the short comedy 'Artistic License' which won Best Comedy at the New York Television and Film Festival. Divi has been developing 'Ackerman & Associates Meet Dracula' for the past few years, including a well-received presentation of a live radio version at New York's Pearl Studios. Stella began her career in NYU's undergrad drama program where she was able to flourish in many areas as an actor and costume designer. Before delving into the world of makeup, Stella spent 10 years in the Halloween industry where her love for the grisly and gruesome has grown. What Stella loves most about makeup is the way it can completely transform a person in to someone or something else. Stella attended MakeUp Designory's Master Program where she was able to study all facets of makeup design. In 2014, Stella was one of the top competitors on the SyFy original make-up competition series “Face Off”. She continues to explore transformations through makeup working in film, video, theater and special projects. Stella is excited to be a part of the ‘Ackerman’ team.